From learning camera equipment to understanding the dynamics of a famous film, each degree in film teaches international students something new and exciting about the world of film. There are many different degrees an international student can get in film. Just at the University of Southern California Los Angeles there are two different schools with over twenty film related majors, minors and programs. Popular degrees include those in theatre and those in film. So what are the differences in degrees in film majors for these two studies? In film studies there can be a variety of different classes an international student can take. As a film production major, students study the technical aspects of a camera, editing software, lights and audio. They also study producing, directing and screen writing. Often they direct, produce and write short films as part of their classwork. 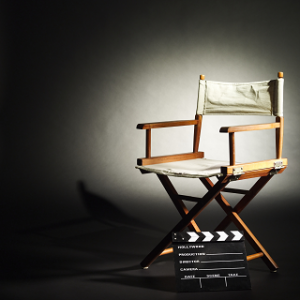 If you like a hands on environment, then film production may be the major for you. In cinema and media studies, students will most likely be watching classic films and analyzing them and their social, political or economic influences on society. If you like to watch films and to research and write academic papers, this major is suited for you. Theatre majors are very different from film majors, as theatre production is much different from film production. Theatre is all done in real time, whereas in film production, you can reshoot, stop the scene and adjust the script right in the middle of production. As a theatre production major you will learn how to write plays, which are different from the screen plays used in the film world, act, design, direct and produce. Many of the acting classes might overlap with acting classes that film majors might have to take. With many variations of film majors, the differences in degrees for film majors is important to pay attention to when selecting what kind of program you want to study.